Neuroscience 2008: The map is the territory…at least for now. The Twitter: Systems analysis comes to Neuroscience! The Big Idea: Brain Maps and Brain Circuits Open the Doors to Studies in Neuroplasticity! If there is a primary metaphor, a picture which best communicates the paradigm shift in neuroscience, it is the image of “mapping.” Makes sense, right? 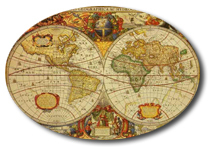 Maps, as we all know, hail back to some of the earliest days of navigational science, when cartography was as much a visual art as an artifact of empirical science. Today, mapping along with circuits, networks, and other info-tech terms have entered the lexicon of neuroscientific thinking — and to that end, has in part redefined how neuroscientists study the neurogenetic and neurochemical operations of the brain. No doubt, the cyberpunks and digerati reading this blog do so in complete and utter wonder. Yes, it seems a collective head scratching is in order when putting the neuroscience paradigm shift in context to the cybernetic revolution named nearly sixty or so years prior. Then again, as historian Thomas Kuhn reminds us, glacial is the speed of great scientific revolutions. Surveying the mob scene at Neuroscience 2008 and listening to some of the symposia lectures, I suspect the shift has come with a generation of researchers who grew up on Atari and first generation X Boxes, who have played with “code” on Second Life, or who have picked up a thing or two from grad students who majored in 3-D modeling before they decided to switch to neuroscience. It might also be the case that the cognitive systems science work of Maturana and Varela, the Neural Darwinist writings of Gerald Edelman and new biotech imaging tools have made their way into labs throughout the world. These are questions I will pose to the scientists and doctoral students during the next two days. In the meantime, under the clear, shining light of brain circuit mapping, “epigenetics” and “neuroplasticity” have taken center stage in neurodevelopmental and neurochemical studies. There were some like Zack Lynch of NIO* who questioned a round table discussion of NIH directors regarding the future of government funding to these studies. Dr. Nora Volkow of the NIH Drug Abuse program was one who offered a particularly optimistic view stating, ‘Epigenetic evidence opens the doors to future studies in neuroplasticity’ — studies that can unlock the mysteries of how human experience actually modifies and shapes the genetic markers of brain development. Yes, gang, it’s “the brain creates culture, culture creates the brain” argument rethought in neurogenetic and neurochemical terms. Seems we are back to talking about nature/nature once more. 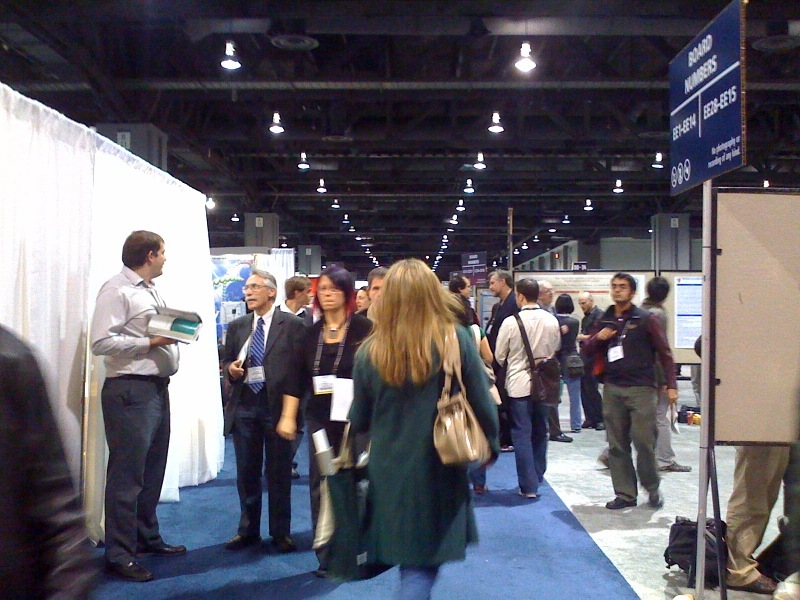 Well, at Neuroscience 2008, the map is the territory, at least for now. From D.C. this is Dr. G, wish you good neural networking!